Thank you for your support of our Yard Sale for Missions! We raised $1139! Bring your dollar bills and spare change all summer, and place in the plate during worship! It will support our missions: Owasso Community Resources, our sister church in Malawi, the Youth Cafe, and Meals on Wheels! 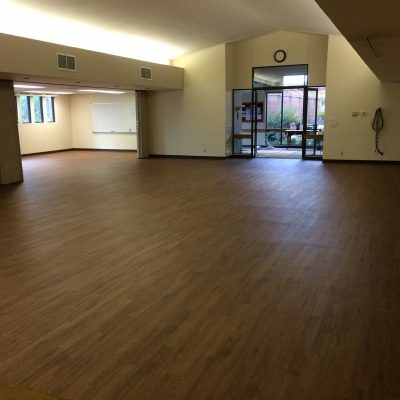 Thank you to American Biltrite, and our member Rob Sheader for the donation of new vinyl flooring for our sanctuary and cafe! It’s looking and sounding great! Thank you to all who helped with installation, the new stage, and the cafe furniture!